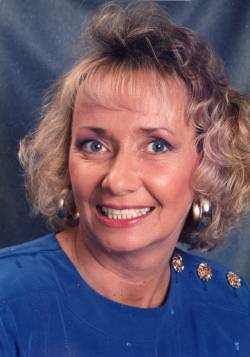 St. Albans – Donna Kay Rath, a lifelong resident passed away early Thursday, September 28th, 2017, at home surrounded by her family. Donna was born in St. Albans, on September 11th, 1948, the daughter of the late, George Donald and Kathleen (Sweeney) Bugbee. Donna was 69 years old. On September 5th, 1998, in St. Albans, Donna married Timothy W. Rath, who survives her. Donna spent almost her entire life in St. Albans, a community she loved and where she was surrounded by her beloved family and friends. For many years she was in the medical field associated with several area physicians, including Dr. John Nicholson, and Dr. Amy Roberts and more recently with Northwest Med Surgical Associates with Dr. Stephen Payne, Dr. Michael Kennedy and Dr. Marietta Scholten. Survivors include her husband of 19 years, Tim Rath, of St. Albans, her son, Daniel Choiniere of Fairfax, her sister, Jean Kelley of St. Albans and her brother, John Bugbee, of Fairfield, as well as her brother-in-law, Peter Rath, of St. Albans and many special nieces and nephews. In addition to her parents, Donna was predeceased by her infant sister, Joan Bugbee; sister, Janet Burnor and sisters-in-law, Patricia Rath and Sandra Knapp. Donna’s family and friends are invited to attend calling hours on Tuesday, October 3rd, 2017, from 4:00 to 7:00 P.M. at the Heald Funeral Home, 87 South Main Street, St. Albans. A funeral service will be held on Wednesday, October 4th, 2017, at 11:00 A.M. at the First Congregational Church, 27 Church Street, St. Albans, with the Reverend Russell Duncan officiating. Interment will follow in the Rath family lot in Greenwood Cemetery. Those planning an expression of sympathy are asked to consider the Franklin County Home Health Agency, Hospice Program, 3 Home Health Circle, St. Albans, Vermont 05478 or Franklin County Animal Rescue, 30 Sunset Meadow, St. Albans, Vermont 05478 or American Cancer Society, Vermont Division, Inc., 55 Day Lane, Williston, Vermont 05495. To send Donna’s family a written expression of sympathy or share a memory, please go to her on-line guest book at www.healdfuneralhome.com.